Powderpost beetles are a type of bug with several interesting characteristics. This list has been written to better inform the public about some of the odd and quirky details surrounding this subfamily of insects. There Are “False” Powderpost Beetles. Getting this detail out of the way early, there are true Powderpost beetles, hereafter referred to simply as “Powderpost beetles,” and then there are “false Powderpost beetles,” also known as “auger beetles” or by their family name of Bostrichidae. Ironically, the Bostrichidae family of 700 different insect species includes Powderpost beetles; Lyctinae is a superfamily of Bostrichidae and comprises 70 different species. The largest distinction between the two is that you can actually see a Powderpost beetle’s head. The anatomy of a false Powderpost beetle has its head positioned downward instead of forward. Both classifications belong to the Bostrichoidea superfamily of beetles. They Got Their Common Name for a Reason. While these guys do not bite, they absolutely love bark. The preferred food of Powderpost beetles is the wood of deciduous trees, the kind that shed their leaves in the fall. Furthermore, these creatures live in such trees and event heir larvae will feed upon the wood within. If efforts are not made to stop these pests, such as wood preservatives, infested trees can be rendered into nothing more than pillars, or “posts,” of wooden powder and “frass,” the informal term for insect leavings. They Will Attack More Than Just Trees. As briefly mentioned in the previous fact, they enjoy wood; trees are just the most direct means of access. 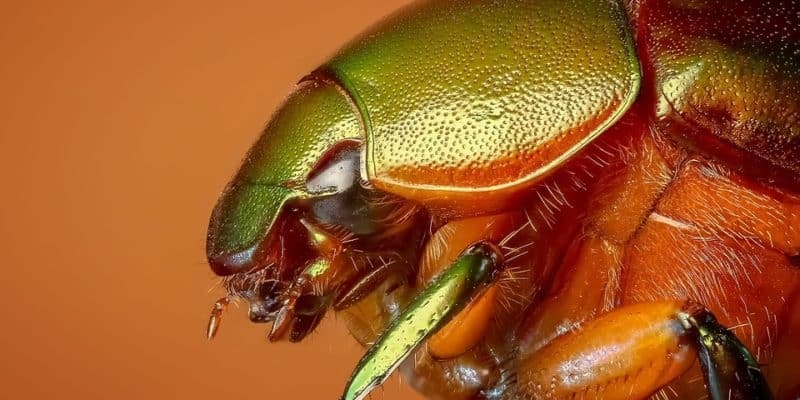 If left untended, anything made of deciduous wood, such as toys, tools, books, flooring and the like can become a home and ongoing food source for Powderpost beetles. These Bugs Were Made For the Cold. Because Powderpost beetles favor deciduous trees over evergreens, they have evolved to survive the colder periods of fall and winter-the seasons where their preferred type of wood is most susceptible to the elements. While they are a hardy subfamily, Powderpost beetles can lead to a genuine home infestation in regions with little ventilation and high humidity. While it can take years to detect infestation of Powderpost beetles, the most common way by which people discover one is from the “shot holes” made by emerging adult beetles. These small openings, ranging between one-thirty-second of an inch to one-eighth of an inch in diameter. There are several countermeasures and preventative steps that can be taken to avoid an infestation by these creatures. Dry all rough lumber in a kiln. The high temperatures will “cook out” any insect life within the lumber. They don’t like sanded, varnished wood. A big incentive for Powderpost beetles is holes that are sufficient to penetrate and then store their larvae. Wood that has been sanded down and then varnished offers denies the bugs this incentive. Keep wooden tools inside. The viability of shovels, wheelbarrows, hammers and just about any other tool that involves wood becomes a target for Powderpost beetles, and several other debilitating issues, if left outside and exposed to the elements. Additionally, wooden barns and sheds are poor storage facilities for such tools; they only serve as an additional food source for the beetles. Borate-laden surface sprays can work. While this chemical makes wood surfaces inhospitable to larvae and stopping the threat of future beetles generations, it will not work on wooden surfaces that have been water-treated. Infested wood that has been varnished, waxed or sealed requires other approaches. Professional fumigation works on furniture. If you suspect that one of your chairs, tables or anything else has been compromised by Powderpost beetles, a professional exterminator can be hired to place those items inside of a controlled chamber and blasted with traceless and fatal-to-bugs fumigants. Despite their similar behavior, termites belong to order “Blattodea,” an order of classification reserved for termites and cockroaches. Where termites will eat any and all aspects of dead plant matter, Powderpost beetles, belonging to the order “Coleoptera,” a classification dedicated to beetles, feast on the starches within wood.